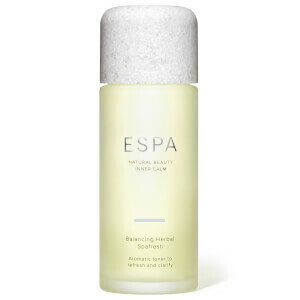 A gentle oil-balancing moisturiser to help hydrate and clarify the skin. 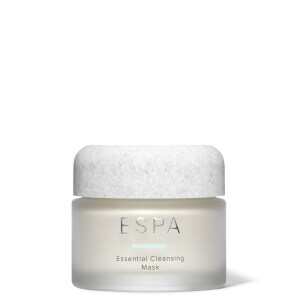 White Thyme helps balance and calming Lavender and Chamomile soothe, while nutrient rich plant extracts and Irish Moss moisturise and protect without clogging pores. Further ‘lock in’ the benefits by applying Optimal Skin ProDefence SPF 15 over 24-Hour Balancing Moisturiser for your final protective layer. Suitable for oily, combination and congested skin types. Water (Aqua), Cocos Nucifera (Coconut) Oil, Vitis Vinifera (Grape) Seed Oil, Glycerin, Potato Starch Modified, Phenoxyethanol, Cetearyl Alcohol, Glyceryl Stearate, Butylene Glycol, Sclerotium Gum, C12-16 Alcohols, Tocopherol, Palmitic Acid, Lecithin, Helianthus Annuus (Sunflower) Seed Oil, Ethylhexylglycerin, Chamomilla Recutita (Matricaria) Flower Extract, Sodium Hyaluronate, Thymus Vulgaris (Thyme) Oil, Lavandula Angustifolia (Lavender) Oil, Carrageenan, Citrullus Vulgaris (Watermelon) Fruit Extract, Linalool, Citrus Limon (Lemon) Peel Oil, Limonene, Citrus Limon (Lemon) Fruit Extract, Nasturtium Officinale Extract, Chlorophyllin-Copper Complex, Maltodextrin, Arctium Lappa Root Extract, Hedera Helix (Ivy) Extract, Salvia Officinalis (Sage) Leaf Extract, Saponaria Officinalis Extract. Express Delivery - if ordered before 9pm, delivered by courier next working day. If ordered before 10.30pm on weekdays and weekends, delivered by courier next working day. Available on orders placed before 9pm (2pm weekends and Bank Holidays) for delivery next business day. Applies to most delivery addresses within mainland UK. 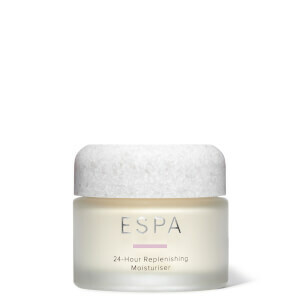 Thanks to Espa I have found my perfect moisturiser. It makes my skin feel so fresh and soft and has such a beautiful, relaxing scent. I love it! After years of searching I have finally found the perfect moisturiser! I've seen a huge improvement in my skin, its so much clearer and feels amazing. The moisturiser has a lovely smell, it absorbs well and leaves my skin hydrated, only wish I'd found this sooner! A fantastic moisturiser that’s a core product in my daily beauty regime. I’ve been using it for years and it’s perfect for my skin - a refreshing, lightweight texture which works well both on its own and underneath make up. How Have I lived without this?! I have a very oily tzone and very dry cheeks and due to this I hate moisturisers. my cheeks don't get enough moisture from most combination skin creams or lotions and my tzone is either far too oily or it starts to feel super tight from the drying action that most combination formulas seems to use. This however is a breath of fresh air. My skin feel hydrated and is no longer oily. I saw the affects of this straight away and it is now a must have for me. I love this product! Bought this to replace the same item which I had used up. It's a lovely gentle cream which smells beautiful. My skin feels softer and smoother for using it and it hydrates my skin really well. I am very happy with my purchase. Great product. I am using this cream morning and night time. It does not feel too heavy, it just makes comfortable sealing moisturise on my skin. a little pain with my wallet;-) But I want to try to keep using this product. I have noticed my skin is better I’ve had no breakouts my skin appears smoother and the blotchy bumpy red blemishes I normally have around the sides of my lip area have gone so really pleased. The only negative I have is my forehead feels a little oily by about midday and I blot it with tissue. I do wear foundation so I will try other combinations or less foundation perhaps. Overall I am really happy with it. 2019 © Espa. All rights reserved.